We propose a theoretical model describing the expansion of a plasma layer into vacuum for an arbitrary electron plasma component temperature. Comparison with the known limiting cases of the quasi-neutral outflow and the Coulomb explosion, as well as with the results of the 1D electrostatic simulation, has revealed a high accuracy of the proposed model in the description of the spectral–energy and spatial characteristics of ions accelerated during the plasma expansion. 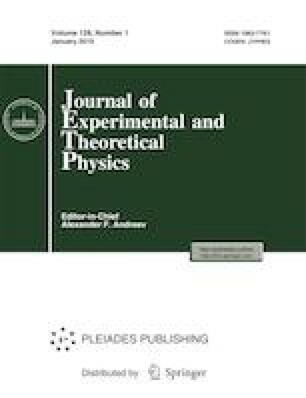 The procedure for obtaining the relations between the characteristics of accelerated ions and the laser pulse and target parameters is described with regard to qualitative predictions and the description of the results of numerical kinetic simulation and experiments on the laser and plasma acceleration of ions. This work was supported by the Russian Science Foundation (project no. 17-12-01283).